At Crescent DC we have expert masons who can design and install paver walkways, stone walkways, brick walkways, and concrete walkways. 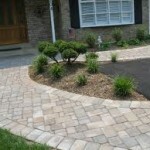 All have their own special features that may work best with your lifestyle and yard design. 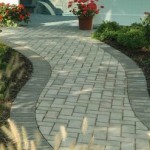 Paver walkways are truly a versatile design. 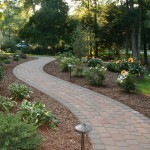 You can create a more traditional type of a walkway or something grander. The possibilities are endless with the full ranges of colors, shapes, and sizes that pavers come in. 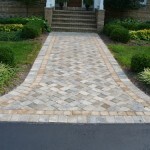 Pavers are generally installed in soil. This helps prevent against damage. Pattern choices are endless and each pattern makes a different statement from a design standpoint. Talk with our masons and designers today for ideas on what would look best on your property! Call us today for a free consultation. 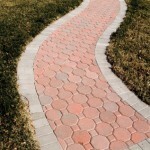 Although you will be using brand new pavers, they won’t necessarily look that way. For old world charm and design, pavers come in rustic colors that most would think is natural stone. Fortunately pavers are far less expensive. Need a different look? 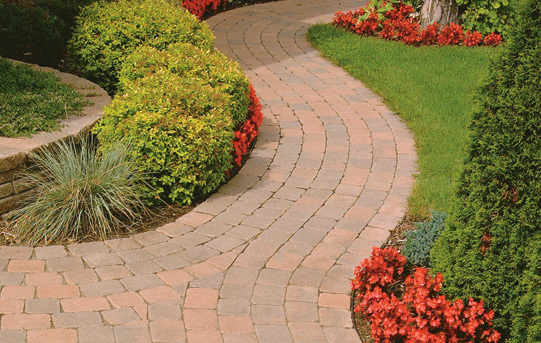 Try bright colored pavers to go with flower beds, or even try brick pavers for a classic look. 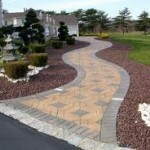 We will strategically place your walkway in your yard where it will be functional and compliment the rest of your home.